The Southland public lined the streets of Invercargill this afternoon to show their appreciation for their sporting heroes. 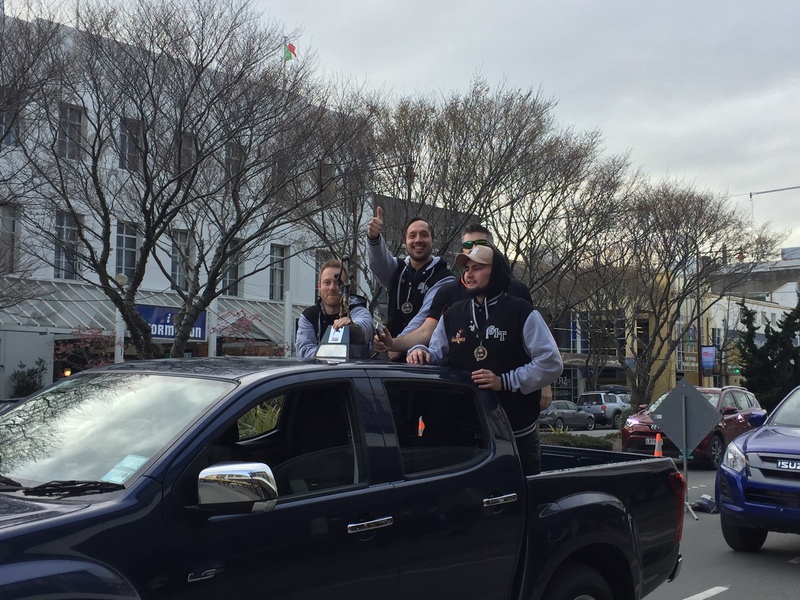 The Southern Steel netball team, Southland Sharks basketball team, and Southland cricket team all won national titles this year which prompted the Invercargill City Council to throw a tickertape parade to celebrate. The event has come together in four days after the Steel won the ANZ Premiership on Sunday. It is the first tickertape parade to be held in Invercargill since 2012 to celebrate the region's successful Olympians from the London Games. Thursday's parade started in Dee St and finished outside the Invercargill City Council building in Esk St. The players were lined up on the back of trucks with the trophies a star attraction. Southland cricket captain Shaun Fitzgibbon said it was great to see so many Southlanders out supporting Southlanders. Fitzgibbon said it was nice to be acknowledged alongside the Steel and Sharks' success.